video games | MSRcast and Metal Geeks Unite! 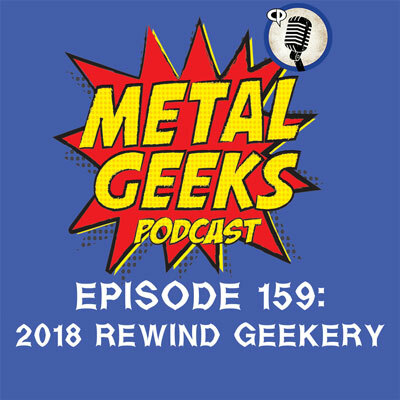 Join the Metal Geeks crew for the annual Rewind episode as we dive back into our favorite music, films, tv shows, and video games from 2018! Which of our choices will match each others picks? Some of the answers might just surprise you! Catch you on the next episode, and Keep It Geeky! The Metal Geeks crew have returned from the Soul Stone to bring you a brand new episode where we review Avengers: Infinity War, discuss Judas Priest in George Hates Metal, have a discussion on living legends in the Metal scene, and much more. The Metal Geeks crew return after an unplanned hiatus to give you all the geekery you can handle. 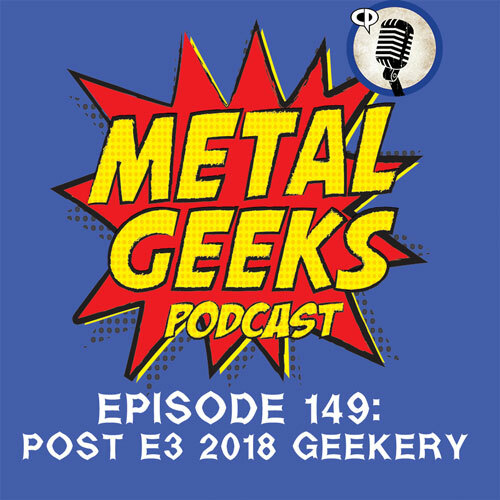 Topics include the 10 year celebration of the Marvel Cinematic Universe and Infinity War, George Hates Metal tackles a metal staple, Bathory, Far Cry 5, Ayreon, Counting Crows, A Quiet Place, and much more! Keep it metal, and oh yeah, keep it geeky! Join your hosts Cary the Metal Geek and Brutal Dave as they discuss immersiveness in modern storytelling including theme parks, video games, movies and books. This was a fun conversation! Join us will you? Also, remember to keep it metal and always keep it geeky! It’s been a hot minute since the Metal Geeks crew have convened to record their geeky thoughts. Joining Cary the Metal Geek and George on this episode is Sean the Metal Pigeon from MSRcast as we discuss what we have been up to, all the newest trailers, we tackle In Vain in George Hates Metal, discuss what is tickling our geek, and our topic for the week includes a lengthy discussion about the ending of CD’s as a medium in some retail stores. 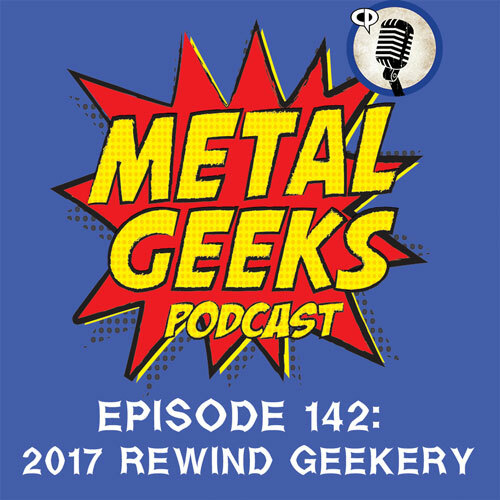 After a little bit of a delay, your hosts return for a 2017 Rewind including some of the music they have been jamming, top movies, top games, and top television shows. Get ready to say goodbye to 2017 and rock out with your geek out! Check out our brand new sponsor at tantrumcollectibles.com if you are looking for cool brands such as Funko, Bandai, Art FX, Banpresto, and more! Use the coupon code “metalgeeks” to save 10% off your entire order. Listen for directions on how to win your own SNES Classic!